On Sunday at the Sept. 11 memorial service in New York, Hillary Clinton left early, stumbling on her way into a van surrounded by Secret Service agents. We now know she was diagnosed with pneumonia on Friday after being treated for a cough that just wouldn't go away. Her doctor released a statement explaining what happened — that Clinton became "overheated and dehydrated." The explanation sounds straightforward enough, and yet the issue has become the leading story on nearly every media outlet. But does the public have a right to know about a presidential nominee's illness? That all depends on the illness, I would argue. Does it affect the candidate's ability to perform the job? Is it something that affects decision making or some other mental capacity — everything from Alzheimer's (something arguably Ronald Reagan suffered from in office) to oh, say, narcissistic personality disorder? Then I would argue yes, the public should know. But if it can be remedied by a few antibiotics and some rest, then no, why do you or I need an insight? It would seem that Clinton's health is now a campaign issue — and that seems really unfair. Yes, this is her second health "episode" this week, as Chris Cillizza pointed out for The Washington Post, and so she will probably have to take any accusations about her fitness to serve more seriously, he argues. But the only reason Clinton and her campaign have to do so is the combination of her "episodes" with the right-wing conspiracy theories that people like Rudy Giuliani have been spewing. Secretary Clinton has been experiencing a cough related to allergies. On Friday, during follow up evaluation of her prolonged cough, she was diagnosed with pneumonia. She was put on antibiotics, and advised to rest and modify her schedule. While at this morning's event, she became overheated and dehydrated. I have just examined her and she is now rehydrated and recovering nicely. We shouldn't need anything more than that. Pneumonia would explain both the coughing and why the former Secretary of State could feel faint at temperatures that weren't exactly blistering. Dr. Bardack even advised her to rest. The average Joe would take a sick day, but Clinton is in the most important race of her political career. No wonder she pushed ahead and tried to do more, especially given the importance of Sept. 11 to the former New York senator. As of now, both Donald Trump and Clinton's doctors have released statements noting their fitness for the office — and Clinton's is far more detailed. The idea that "full" medical records could even be released is somewhat preposterous given how our nation's system works. The files would be spread among various hospitals and doctors' offices in several different states, as Margot Sanger-Katz explained for The New York Times. 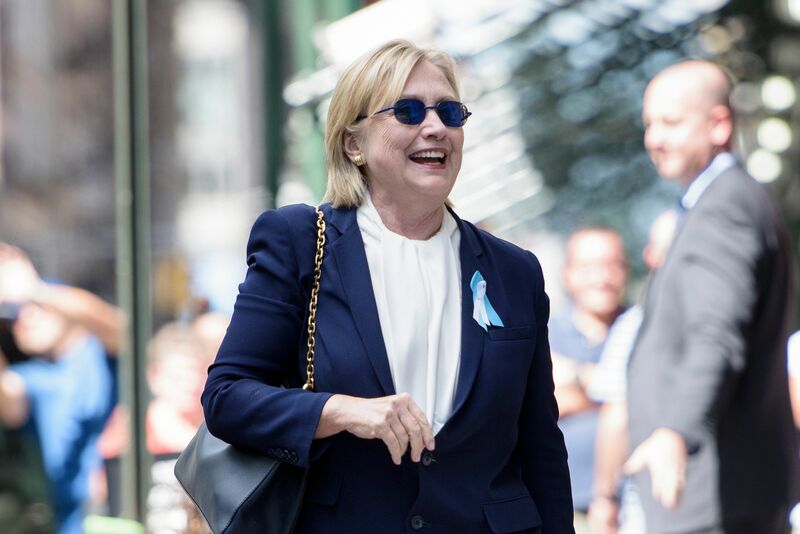 Even though something like pneumonia will not affect Clinton's fitness for the office — especially since she'll have recovered in a day or two — it would probably be best for the Clinton campaign to take any future health rumors, accusations, or insinuations seriously. Perhaps she should release her medical records, but if and only if Trump releases his tax returns. Those after all have just as much to say about one's fitness for the job.